Restaurants & bar specials all day for visitors wearing at least one Meet Me Downtown sticker. Post your best event photos on Instagram with #MeetMeDowntownBerkeley and be entered to win a free iPad mini! * Get stickers at all six venues for a chance to win an extravaganza weekend for two at Hotel Shattuck Plaza, restaurants, and arts venues in Downtown Berkeley! Submit your entry at the Welcome Kiosk in BART Plaza. 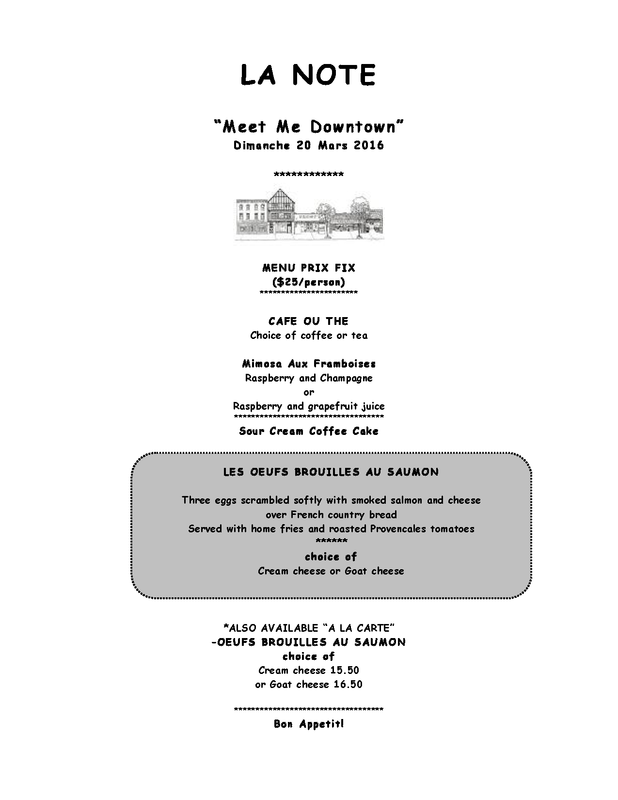 La Note: Prix Fixe menu – $25 per person including sour cream coffee cake, Les Oeufs Brouilles au Saumon and more. Full menu here. Explore Downtown Berkeley, with its variety of restaurants and cafes, unique shops, the New Berkeley Art Museum/ Pacific Film Archive, the newly remodeled Berkeley Rep Peet’s Theatre, and the exciting new UC Theatre for live concerts featuring a state of the art sound system.